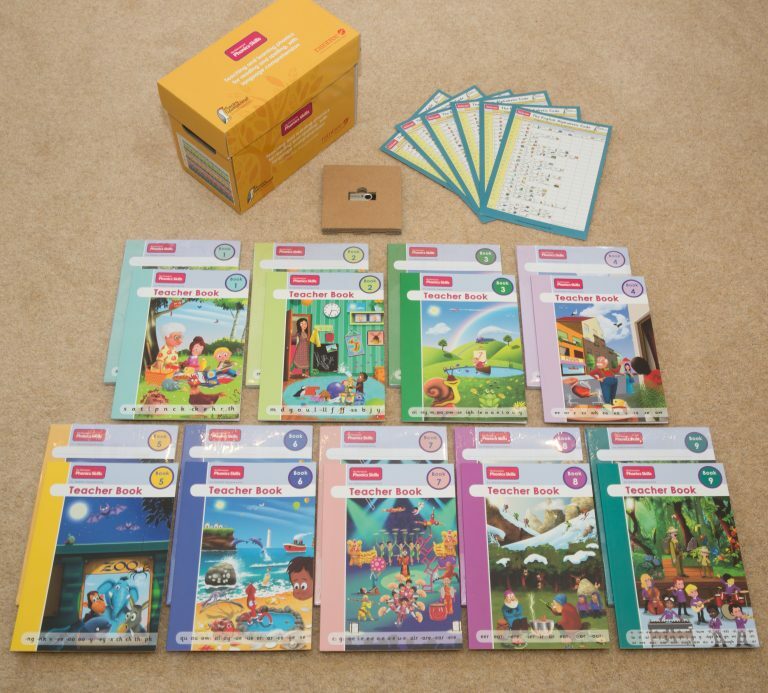 Debbie Hepplewhite’s No Nonsense Phonics Skills Box Set includes the complete range of nine Pupil Books in sets of six copies of each book, one copy each of the nine Teacher Books, six copies of a tabletop Alphabetic Code Chart and a wide range of additional complementary material and video footage provided through a USB stick. The programme is suitable from beginner infants (4+) and beyond infants (primary) – according to the needs of the learners. See the full-size PowerPoint presentation video with audio commentary for training/CPD in the No Nonsense Phonics Skills programme (1 hr 15 mins). Click HERE. The nine books in the No Nonsense Phonics Skills programme provide a comprehensive step-by-step method of teaching reading, handwriting and spelling in the English language. 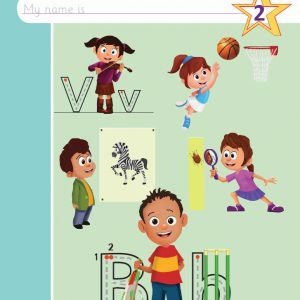 Author Debbie Hepplewhite guides the learner and the teacher through a series of carefully designed systematic phonics routines to master the complex English Alphabetic Code. Each book is rich in content providing phonics instruction and exercises with ‘cumulative’ code, words and texts developing language comprehension and building up knowledge of ‘spelling word banks’. High-frequency and tricky words, and additional letter/s–sound correspondences, are drip-fed into the teaching and learning sequence of the 109 included ‘Mini Stories’. Each boxed No Nonsense Phonics Skills set includes 6 copies of each of the nine pupil workbooks, an accompanying Teacher Book for each of the nine pupil workbooks containing additional guidance and example comprehension questions for the Mini Stories, six copies of a laminated A4 table-top Alphabetic Code Chart, and a USB stick containing additional resources and video guidance from author Debbie Hepplewhite. Some essential links to external websites, downloads and resources. “Phonics Teaching – is it ‘fit for purpose’? “Features of phonics for reading and spelling"
“Teaching Your Child to Read: How to Guarantee Your Child Becomes Truly Literate"
“Phonics for fun, for life-chances and for life!"